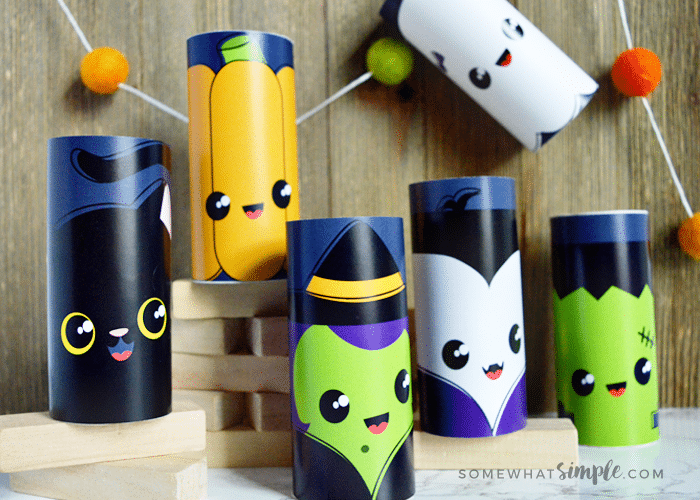 Toilet paper roll crafts are simple and fun! 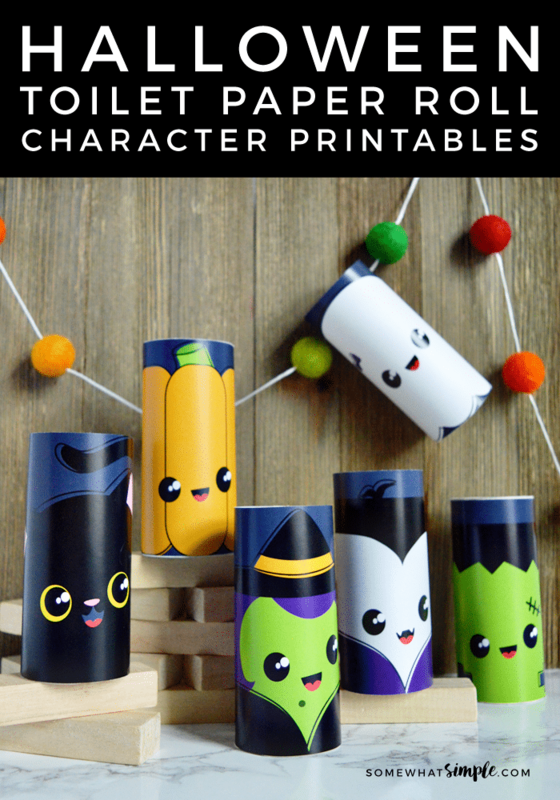 Kids are going to love having these darling Halloween Characters they can make, and then play with! Growing up, my mom had an adorable Halloween Village that she hand painted. Being made of porcelain, we kids weren’t allowed to touch it, which meant I desperately wanted to do so. 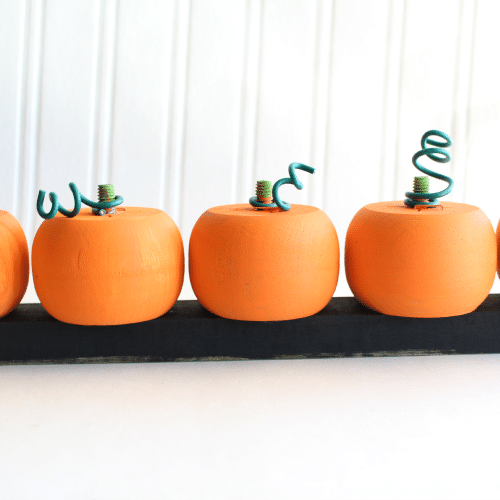 I always wanted Halloween decor that I could just play with! Now, as a mom, I find myself telling my own kids that some of our Halloween decor isn’t to touch. Which reminded me of how badly I just wanted to play with the Halloween stuff when I was a kid. 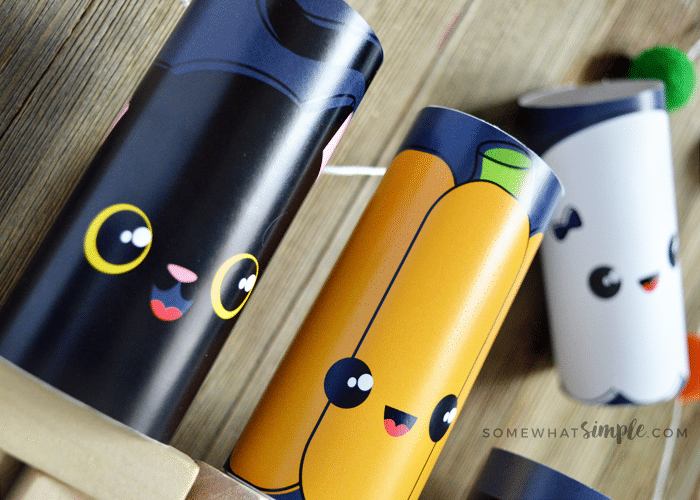 So I decided to design something that would be darling to display, but the kids could actually play with it (also not super creepy or scary), and if it was destroyed, we could print out some more! 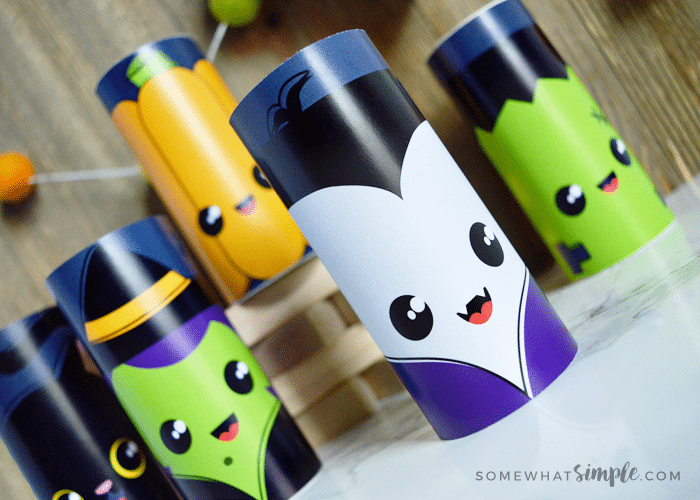 First, print out our Halloween Toilet Paper Roll Characters – I recommend going to a print shop because of all the dark ink/colors that are used. Cut out with scissors or paper cutter. Glue or tape onto the toilet paper rolls. 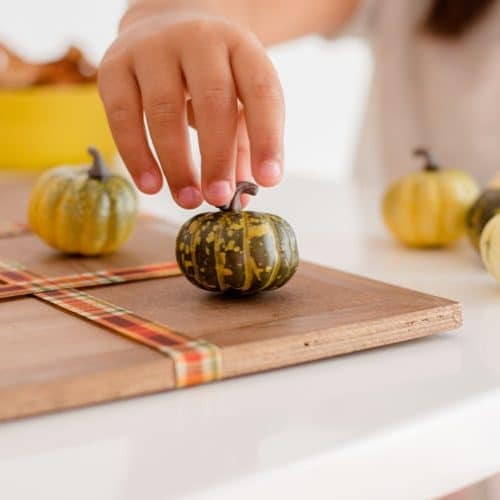 This is a great craft the kids can help out with as well. 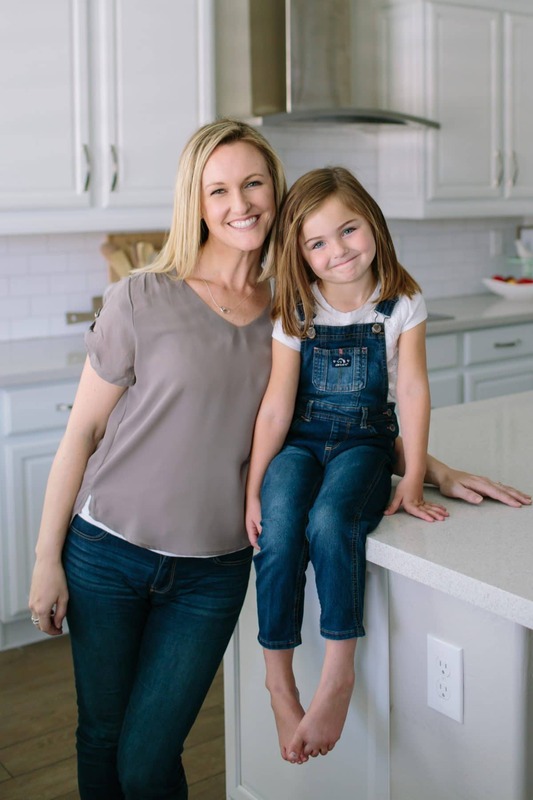 My kids love the fact that they can “decorate” and “redecorate” all day long! 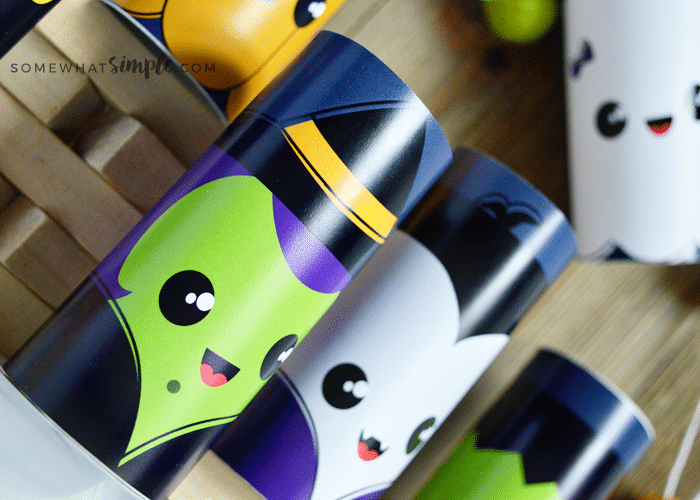 This pack contains a darling witch, black cat, pumpkin, ghost, vampire, and Frankenstein. Ready to grab and create your own? Click HERE to download your Halloween Characters! Hope you enjoy, and Happy Halloween!